The making of traditional furniture has nearly died out in mainland Britain. There are few master craftsmen, little knowledge of natural materials and even fewer people with the knowledge or money to appreciate the joy a properly made piece of furniture can bring for generations. Orkney, however, is different. Here there is still a tradition of making Orkney furniture, in particular the Orkney chair. The Orkney chair is a classic piece of improvised design which has persisted through generations because of its usefulness. 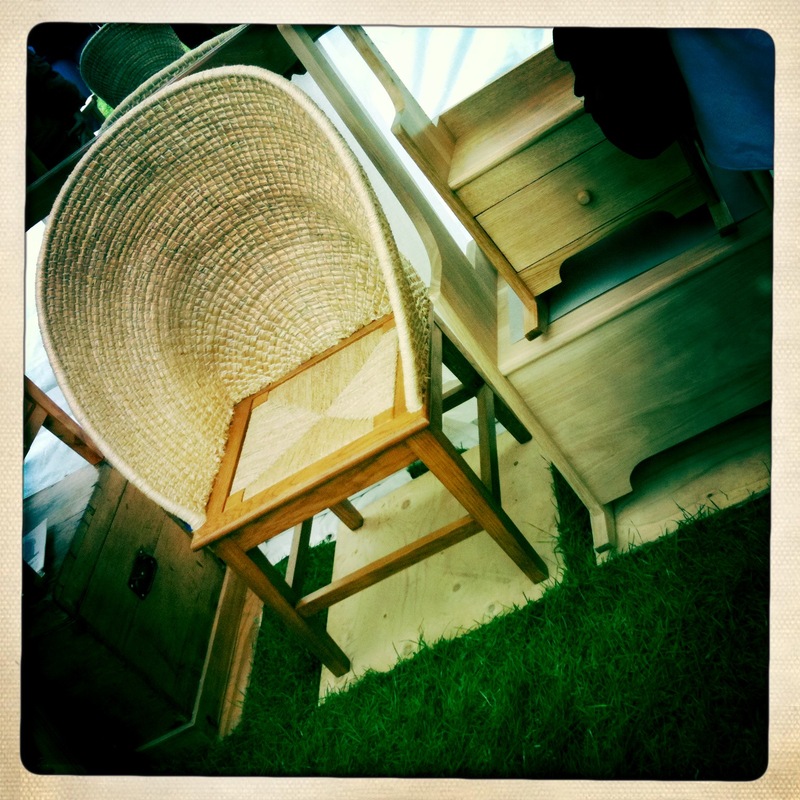 Made of driftwood and with high sides stitched with oats, older chairs are highly valued now. In a classic textbook example of form follows function (the ‘form’ – what something looks like, should follow the ‘function’ – what it does) the Orkney chair triumphs. The Orkney chair is low – in order to avoid the smoke from heavy peat fires indoors. The Orkney chair is high backed, with high sides – in order to provide a screen from the draught inside the house. The Orkney chair often has storage under the seat – houses were small and furniture-making diverted time from feeding the family so everything had to earn its keep by having multiple functions. At the Orkney County Fair it was reassuring to see a young man, Fraser Anderson, on his Orkney Hand Crafted Furniture stall with his wonderful array of modern interpretations of the traditional furniture. He’s not slavishly copying the old style designs but updating and reinterpreting them for modern life. There are bar stools, corner chairs and chairs with straw panels as well as the traditional men’s and ladies’ chairs. He’ll even make you a made-to-measure chair to suit your size. With no smoky peat fires, no draughts and more space, Fraser Anderson is taking the Orkney chair’s form to new places to follow its modern function. I wish him good luck and high sales.